This coat of arms was originally placed over the entrance to the ravelin; but, in 1958, it was moved indoors. 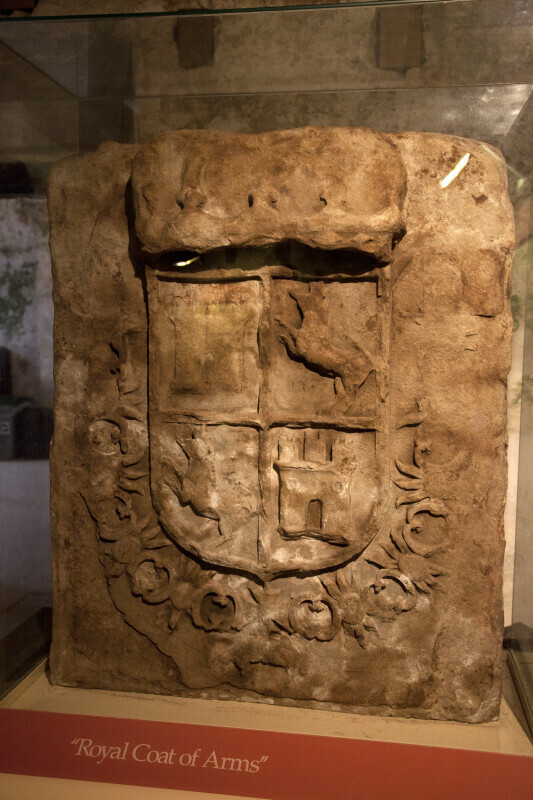 This is the simplified coat of arms that was used by the Kingdoms of Castille and Leon. The fort is a National Monument, and is listed on the National Register of Historic Places.